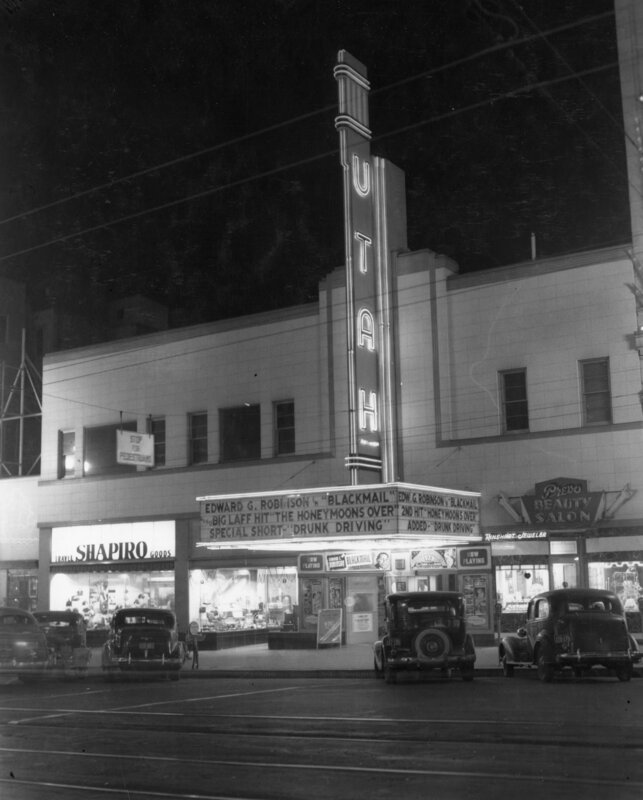 Description Utah Theater, July 1939. Located at 148 South Main Street. Salt Lake Tribune Negative #12383.